Facebook Eases Promotional Guidelines: Facebook has just updated their “Pages Terms in order to make it easier for businesses of all sizes to create and administer promotions on Facebook. Now, promotions may be administered on page timelines and in apps on Facebook.” Be sure to check out the new Promotion Guidelines. 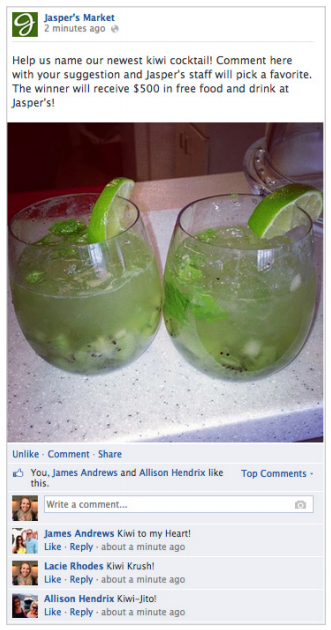 You can now use Facebook Promotions on page timelines. 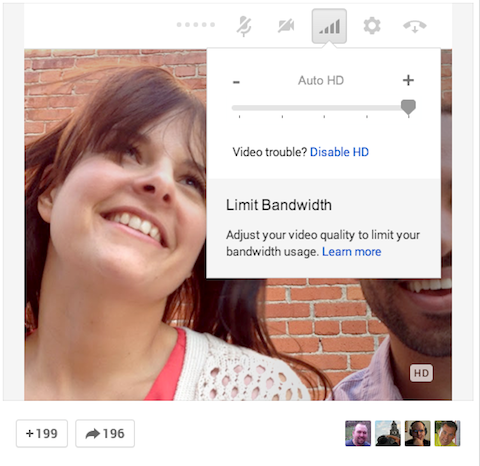 Google+ Hangouts Go HD: HD capability is initially rolling out for Hangouts on Air, then to all desktop hangout video calls over the next few weeks. 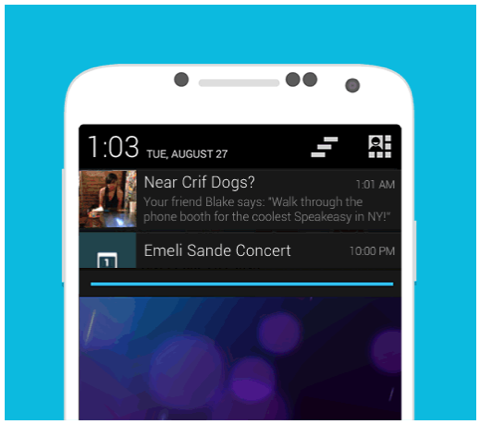 "HD hangouts require an HD-capable webcam, more bandwidth and more processing power than standard definition. So if your computer and network are capable, turn the quality up to HD!" 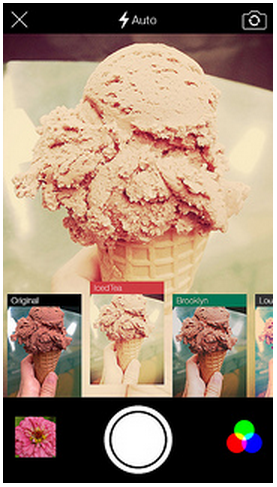 Facebook Announces Shared Photo Albums: As first reported by Mashable, Facebook is rolling out shared photo albums. 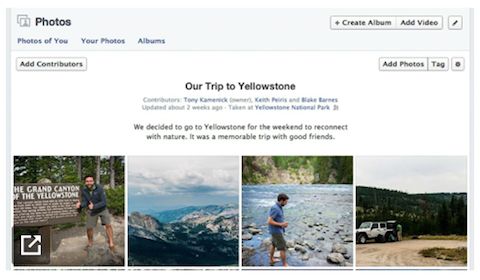 "Users can share access to an album with up to 50 contributors, who can each add up to 200 photos." When you check in, Foursquare has started to ask a quick question about the place. The camera "gives you full control over how your final photo looks, even before you snap the shot." Foursquare Rolls Out Proactive Recommendations: Foursquare’s latest features are to help “you discover the greatest things nearby without even having to open the app.” Currently rolling out only to Android users. 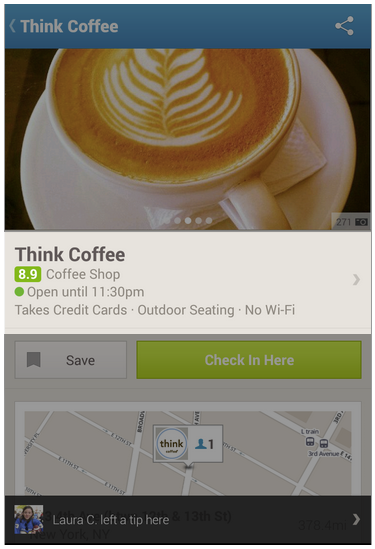 When you wander into a new neighborhood, Foursquare will "suggest a few places that your friends love." 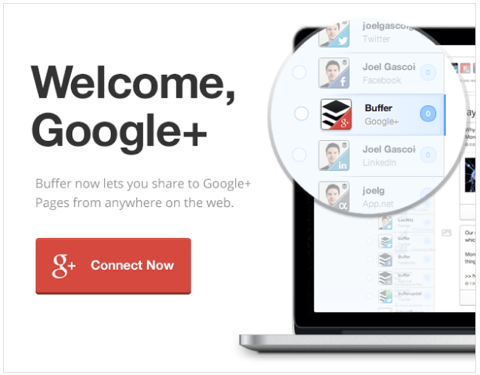 "The easiest way to post to your Google+ business page." Facebook Updates Legal Documents: Facebook is updating its legal documents of Data Use Policy and Statement of Rights and Responsibilities, which tell you about how Facebook collects and uses data and the rules that apply when you choose to use Facebook. Giphy: A tool to share animated GIFs with your friends on Facebook. 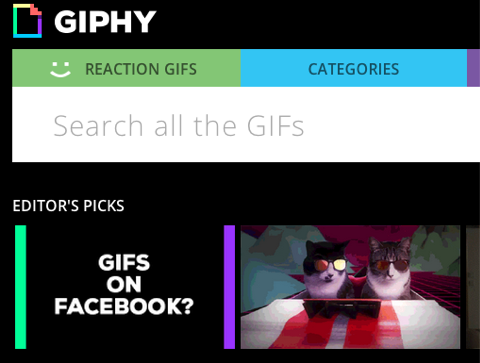 You can embed GIFs right onto your timeline from Giphy's search engine.